When I graduated, I got some great gifts, and I still use many of them to this day. There are great, affordable gift ideas that go beyond money and calling cards. Here's what I came up with. 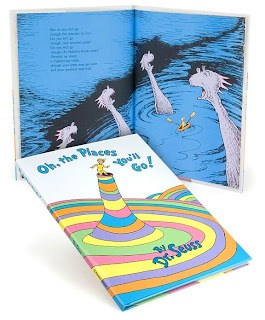 One gift that I didn't fully appreciate until I was much older was the book "Oh The Places You'll Go" by Dr. Seuss. My favorite teacher, Ms. Hille, was my 5th grade teacher and she gave me this book when I graduated. At the time, I thought it was kind of strange. But now I think every graduate should be given this book. I still have it and every time I read it to my kids, I think of Ms. Hille. You can buy it here. 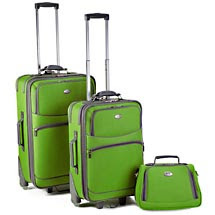 My parents gave me luggage and that was the most practical gift, and I still use that luggage to this day. 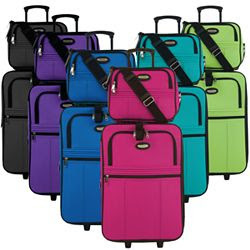 Although, I think it's time to get new luggage, because when I was in NYC, the bellman at one of the hotels was practically making fun of me for my "vintage" luggage. 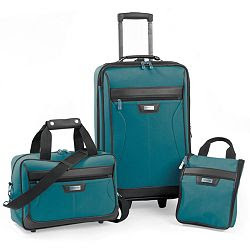 There are lots of good deals for 2-4 piece sets. There are also much more expensive options, but I'm not going to even go there. Here are some of my favorites. Target has a great selection, as does JCPenney's. Even Walmart has some great deals. 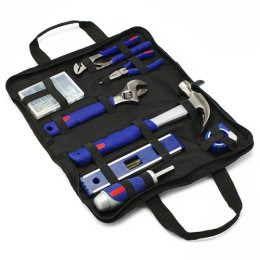 I think a tool kit might be a good idea for a young man graduating, especially if he will be leaving home. Here's one I found. Just basic. My parents also gave me a new set of scriptures, because after 4 years of seminary, mine were in bad shape. I still use those to this day, so that was a practical gift as well. If the graduate is leaving home, housewares are always a good gift. Maybe not the funnest to receive, but they are practical. Good luck Sarah, and have fun shopping for your little brother. I hope some of these ideas might help, and if anyone has more ideas, please post them. Have a great day!